CHARMING MID-CENTURY STUDIO IN THE HEART OF CAPITAL HILL. NEW CARPET, NEW PAINT. SPACIOUS KITCHEN WITH LAMINET COUNTER TOPS AND PLENTY OF CABINET SPACE. KITCHEN OPENS INTO LARGE ROOM WITH A LOT OF WINDOWS. BONUS ROOM NEXT TO THE FULL BATHROOM IS IDEAL FOR A DRESSING ROOM OR EXTRA STORAGE. 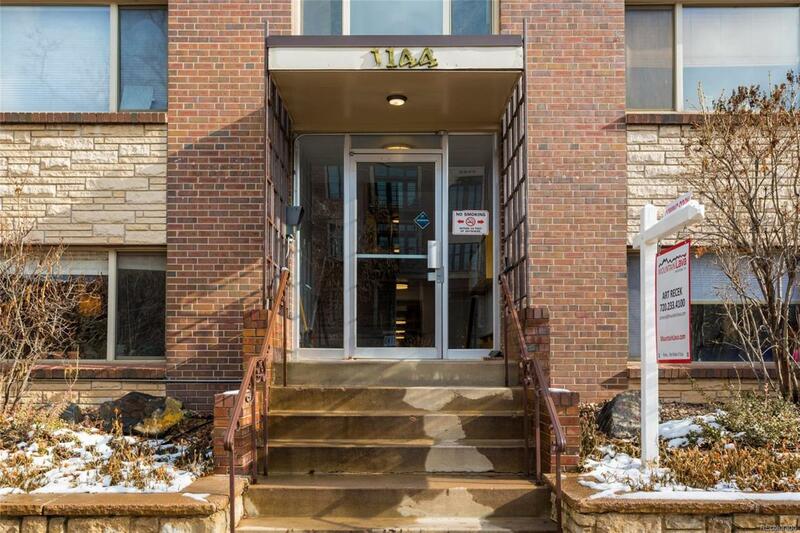 LOCATED JUST 5 BLOCKS FROM CHEESMAN PARK, WALKING DISTANCE TO NUMEROUS RESTAURANTS, ENTERTAINMENT AND SHOPPING! THIS TERRIFIC STUDIO ALSO INCLUDES A DEEDED PARKING SPOT! THE BUILDING HAS SECURITY CAMERA WITH REINFORCED FRONT DOOR FOR ADDED SECURITY. GREAT LOCATION AND MOVE IN READY! Offered by Mountain Lava Real Estate Inc..